Time definitely does fly - we are almost at the end of April enjoying some lovely sunshine and showers! Coming up this weekend is the first BBC Good Food Show Spring in the beautiful town of Harrogate - very excited as i love the BBC shows! Come along and say hello if you are coming along - we are in the Bakes and Cakes section on stand number L16. 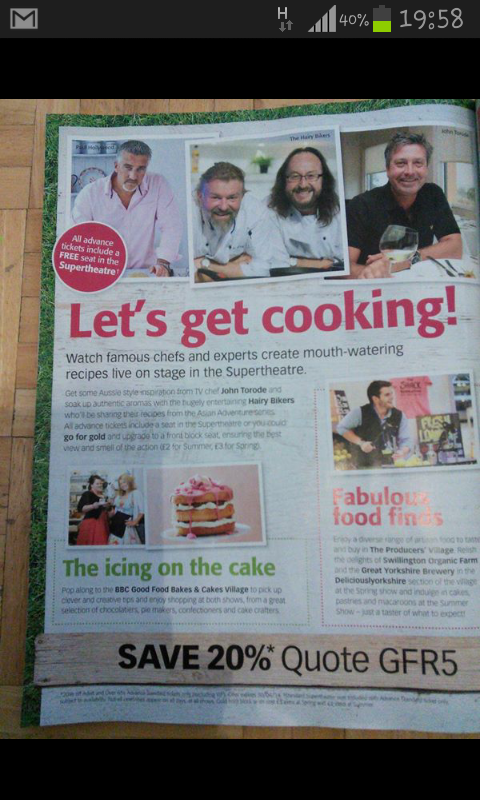 Visit www.bbcgoodfoodshowspring.com for more details if you fancy a day of food and fun! It has been an exhausting few weeks....made longer and more difficult due to being poorly again (grrrrr) anyway i am back and fighting fit ready for the weekend.